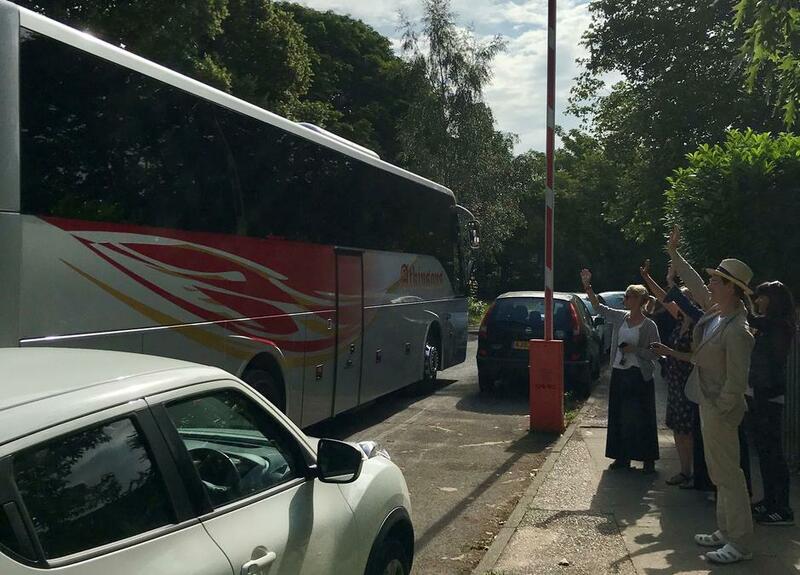 Year 6 are off on their trip to France. Parents waved them off... (some waved back! ).